Deku is a common word with recurrence among the Legend of Zelda series. 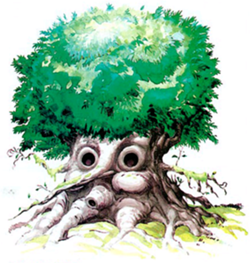 Deku can refer to the great sentient trees that are guardians of the forest they reside in, forest location(s) themselves, items or even enemies. The aspect of Deku’s kind of take away from a lot of sources but you can see some common ground when you place each aspect of ‘Deku’ against a wonderful fantasy tale: The Lord of the Rings. Of course this can be seen and is plausible because of the fact that a) a lot of the ideas of Lord of the Rings predated itself as well as the fact that b) Lord of the Rings predated Legend of Zelda’s first game by almost thirty years. 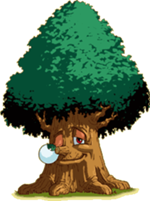 It is interesting how the great sentient trees such as the Great Deku Tree, The Deku Tree Sprout from Ocarina of Time, the Great Deku Tree from Wind Waker, the trees Maku/Maku from Oracle of Ages and Seasons respectively, as well as the Talking Timbers that originally existed in a Link to the Past are so very similar to the Ents and the Huron from Lord of the Rings. 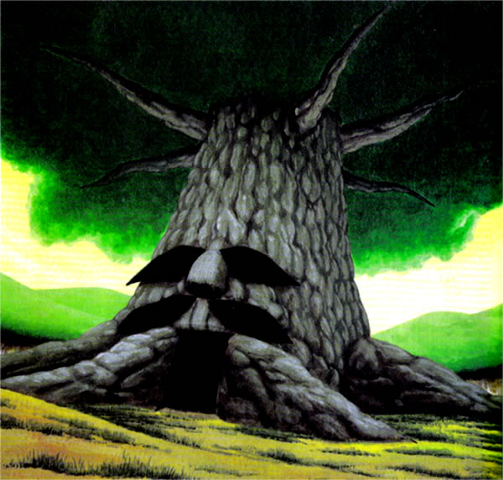 The Great Deku trees are just like the Ents in that they are the watchers and guardians of the forest, unlike the Ents the Great Deku trees are often also guardians and watchers of the world at large and they also are unmovable; Ents are free moving, but the Great Deku Trees/Tree Deities of Legend of Zelda are firmly stuck in place. As for the Talking Timbers being like the Huron, I should explain what the Huron were in Lord of the Rings first for those of you who don’t know. The Huron were a “race” of trees/ tree spirits that existed well before the War of the Ring. Initially they were peaceful trees and it is unknown if they were just regular trees or Ents that would later become the Huron. Over time as Middle-Earth became populated with beings that would threaten the woods of the World the Huron became black-hearted and full of hatred of two legged beings of the world. While unlike Ents that can talk and walk, the Huron typically didn’t do either but could still fully move their tree limbs. However, in the War of the Ring, the Huron’s wrath falls down upon the soldiers of Isengard and they destroy every single Orc/Uruk-hai, and even walk upon the Earth and surround Isengard to disallow any Orc/Uruk/ foul creature to escape “cleansing”. 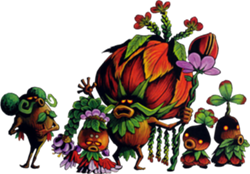 The Talking Timbers initially appeared in the Zelda game Link to the Past and were only found in the troubled Dark World. They were typically “asleep” like all of the trees nearby unless you as Link with Pegasus boots ran into them. They would either throw a bomb at you and then give you aid or would berate you for being foolish or disruptive. Much like the Huron in the Lord of the Rings, in which their aid was ultimately for their own goal they still never-the-less helped the good guys by devastatingly defeating the remnants of Isengard. In Link to the Past they may give you advice or not, but they didn’t exist until you entered the Dark World, of which was once the Golden Land which is a place similar to the Light World of which you come from but is of another time and place. The tree beings and spirits are the most commonly similar and easily comparable between these two great fantasy worlds but there are some other similar connections. The Deku enemies can be compared to the Orcs in Lord of the Rings. How? Well both of them are corrupted forms. 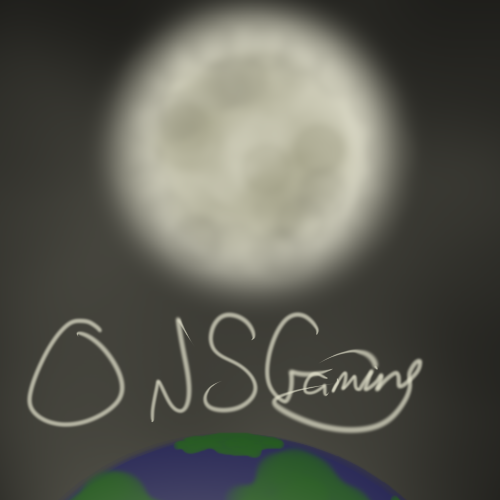 When Gannon started to spread his evil and darkness throughout the world he corrupted many of the life in the world of Hyrule. The Deku Sprouts may not have always been “your” enemy. In Ocarina of Time they attack you first and only after being attacked do they regain their senses and often times aid you in your quest to stop Gannon. Deku Sprouts may either sell you items or offer a tip to help guide you. In the game Minish Cap a Deku Sprout will make mention that trying to speak he spits out seeds and it isn’t a direct attempt to attack you… Speculation could say that the spitting of a seed is just a mishap maybe caused by Deku Sprouts attempting to speak in a language that Link will understand. 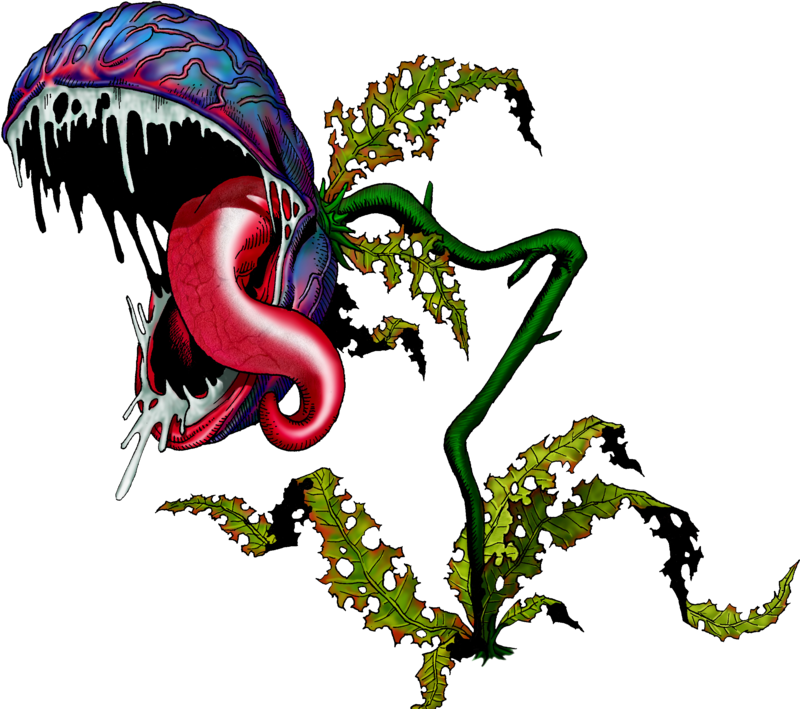 There are other enemies of Deku variety such as the Deku Baba which are Piranha/Venus fly trap like plants that attack you when they get close, assuming that Gannon also corrupted them and it is likely they may have once just been flowers or smaller Venus fly trap like plants. But really how is this related to Lord of the Rings through corruption? In Lord of the Rings it is commonly theorized within the world of Middle-Earth and it’s lore that Orcs were once Elves but were corrupted by Sauron and his master Morgoth (Melkor, the first Dark Lord) through vile magic, manipulation, mutilation and torture. Deku can also refer to a specific forest in Oracle of Ages, and in fact all the forests of Legend of Zelda share similarities with that of Lord of the Rings and indeed all forms of Fantasy. The Forests in the games are often old, mysterious and hold some form of old power and this is a common theme in fantasy stories outside of the Lord of the Rings or Zelda. 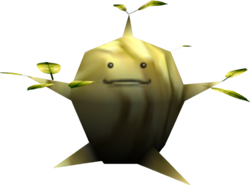 As for Deku Items they come from the Deku Trees or Elements and are used by the Kokiri, which are children like beings that inhabit the Kokiri Forest alongside the Great Deku tree and are some how related to the tree. In this respect the Kokiri are like Wood Elves in the Lord of the Rings, they don’t really age, they live in the forest, they take most of their objects from the woods and make use of their trees, bark, seeds, sticks and other things to make a life for themselves. Much like Wood Elves the Kokiri rarely (if ever or could) leave the forest, and also are vary weary of outsiders.